Another week down, let’s hope this one goes quickly because then I’m on holiday! A couple of our friends are moving away to Malaysia for a year so on Friday night we gave them a good send off. We all met up at a local bar, and basically partied the night away. Come Saturday morning, and feeling slightly delicate, it was time to kick of the new Premier League season. I picked up Murr and we headed over to a friend’s house to settle in for an afternoon of football. Man Utd vs Swansea was the first game of the season, and a lot of hopes and expectations had been built up with the arrival of Louis van Gaal at the helm of Utd. Alas, it was not to be the debut the fans had expected, Swansea overcame Utd to win 2-1, I didn’t mind though, in fact I was pretty happy with the result. During the intervals between games we played a little bit of FIFA too. I headed home at half time of the Arsenal vs Stoke game, it was a pretty boring game so didn’t feel like I would be missing too much. I spent the rest of the evening playing a bit of FIFA and watching Match of the Day. Yes football is well and truly back, and it is good! Sunday was an incredibly lazy day. After heading over to our friends to say our final goodbyes went home and didn’t go back out for the rest of the day. I watched Liverpool get their Premier league campaign off to a winning start, which was nice. Then I played a bit more FIFA, now the reason I’ve been playing FIFA quite a bit recently is because I signed up for EA Access. In case you aren’t aware EA Access is basically EA’s games rental service. You pay £20 for a year’s subscription, or £3.99 for a month, this in turn gives you access to the vault, where you can download games and play them for an unlimited amount of time. Currently there are four games on offer, FIFA 14, Battlefield 4, Madden 25 and Peggle 2. As I had only played BF4 from that list I thought I would try it out. I have only downloaded FIFA at the moment, but so far I’m pretty happy with the service. £3.99 to play the game for a whole month is a lot better than any other rental service I’ve used, chuck in the fact that I could actually be playing 3 other games too, and it’s a great deal. However, it remains to be seen whether this service will be good over time, it hasn’t been confirmed how often it will be updated with games, or what those games will be. One thing’s for sure, is it won’t be brand new EA titles, but EA Access does give you 10% discount on buying new games through the service, and it will also give you early access to some of the games. If they keep adding a game or two every month or so, even if they are older games, I can see it being a worthwhile system. The fact that I can go and sell BF4 to pay for a year’s subscription and still actually play BF4 is pretty good. EA Access is currently only available on Xbox One seeing as Sony turned down the chance to offer it to PS4 owners. In the evening I started to watch a new show on Netflix, well it’s new to me, Orphan Black. Orphan Black follows Sarah Manning, an orphan and street-wise chameleon. After witnessing a woman’s suicide who just so happens to look exactly like her, Sarah then assumes the stranger’s identity. Expecting to solve all her problems by cleaning out the dead woman’s savings, Sarah is instead thrust headlong into a kaleidoscopic mystery as she realizes the dizzying truth – she and the dead woman are clones, and they weren’t the only ones. I’m only two episodes in, and so far it’s not too bad. Some of the acting is a little rough, and I haven’t exactly warmed to many characters, but I’m willing to give it a few more episodes. This weekend brought to an end my first week at my new job, so a few of us went out on Friday for anticipated quiet drink. In traditional style though It ended up being anything but quiet. Our rounds went from a pint, to shots and pints, to double mixers. Tequilla, Jaeger and JD all made an appearance just at the pub. By kickout time we decided it’d be worth getting a taxi and going to town. Times change apparently, and we stuck out in town like saw thumbs. Picture the cast of “last vegas” and that is I imagine how we looked in town. Still had a good night and a brilliant hangover Saturday. Saturday I went over to a friends house with a few other mates to watch the start of the premier league and play some fifa. Not the best start being a Man U fan as they lost without a fight in the first game. It wasn’t a late one due to Friday and I think the lights were out by 10pm. Sunday I went for some food with my wife. Then later on the usual wrestling fans came over and we prepared for SummerSlam. 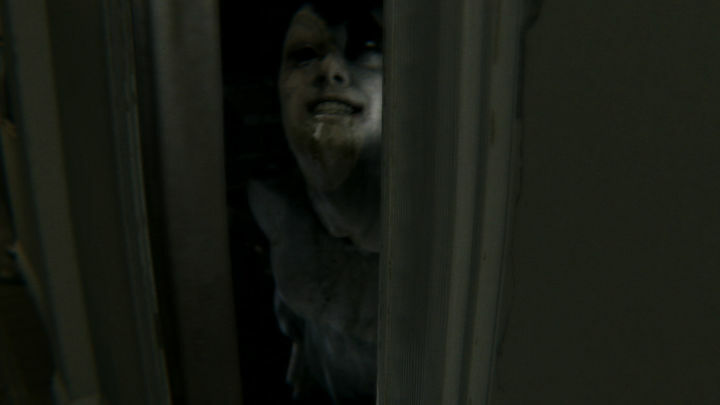 I showed off the P.T demo to one of the guys. Within 30 seconds an event happened that had us both jumping, I’ve almost completed it, but I’ve managed to put my friend off buying it due to the scary-ness of it. So there’s one less person buying the whole Silent Hills game when it comes out. SummerSlam itself ended up being a particularly good PPV, with pretty much every match being enjoyable. Results will be up later once I’m home from work, so check back.